First of four runners up, photographed by Rick Walleen. This is the first of four runners-up in our Reader Photo Contest. 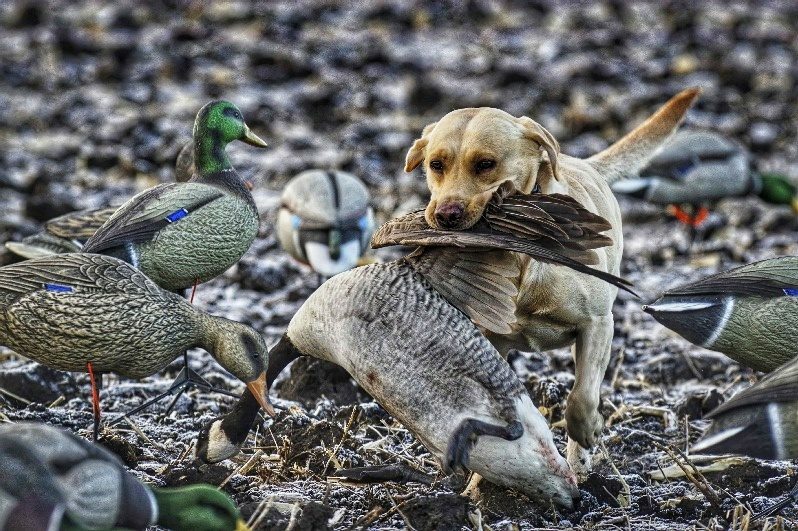 Congratulations to Rick Walleen, who posted this shot of yellow Lab Surly bringing back a “jumbo honker.” According to Rick: “Surly goes 50 pounds, and after a couple hundred yards this big boy looked heavy.” Rick has earned himself a free year’s subscription to Shooting Sportsman. Second of four runners-up, photographed by Mike Leier. This is the second of four runners-up in our Reader Photo Contest. 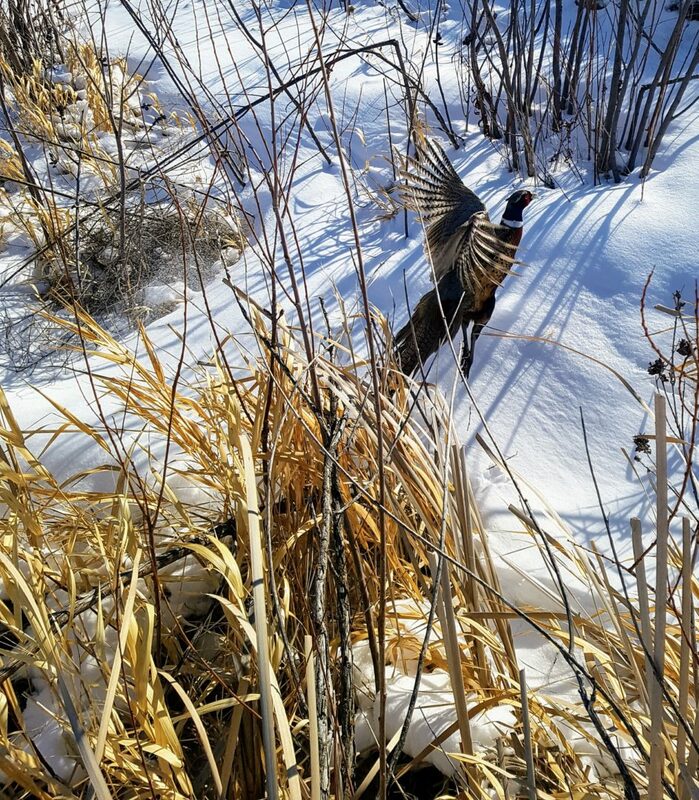 Congratulations to Mike Leier, who posted this great action shot of a beautiful wild rooster flushing from his snowy hide in southern Saskatchewan. Mike has earned himself a free year’s subscription to Shooting Sportsman. Third of four runners-up, photographed by Nick Larson. This is the third of four runners-up in our Reader Photo Contest. 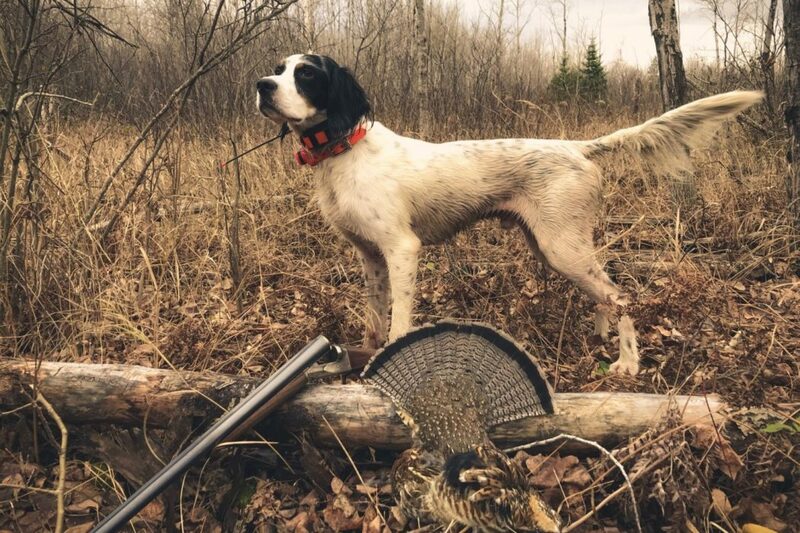 Congratulations to Nick Larson, who posted this iconic image he took last November in northern Wisconsin of his three-year-old English setter, Hartley, a Fox Sterlingworth and a handsome drummer. Nick has earned himself a free year’s subscription to Shooting Sportsman. Fourth of four runners-up, photographed by John Pyne. This is the fourth of four runners-up in our Reader Photo Contest. Congratulations to John Pyne, who posted this great action shot from the field. 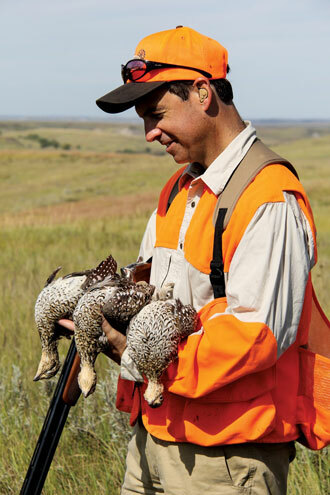 As he describes it: “Covey of South Dakota sharptails just over the edge. The moment we live for. Everybody doing their job.” John has earned himself a free year’s subscription to Shooting Sportsman. The winner of our Reader Photo Contest, photographed by Toby Cromwell. And the winner of our Reader Photo Contest is . 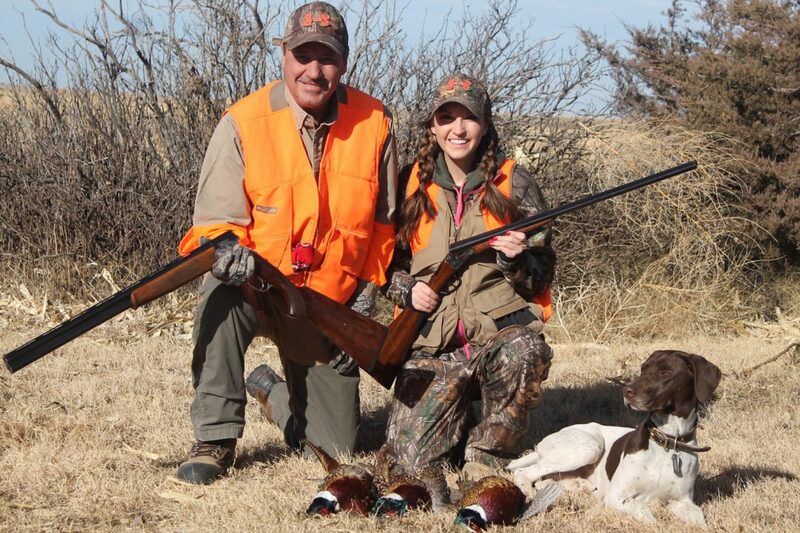 . . Toby Cromwell, who posted this wonderful image of him, his daughter Angie and their German shorthair Milo on a pheasant hunt in western Kansas. 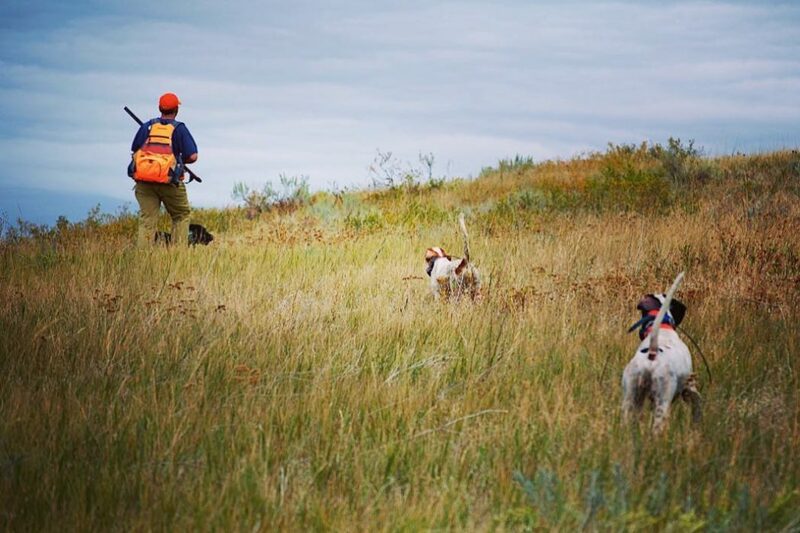 This photo has it all: nice guns, a regal-looking dog, beautiful birds and, best of all, two generations of hunters obviously doing what they love and enjoying each other’s company. (Come on, look at those smiles!) Toby has earned himself a Wild Hare Range Vest, a year’s subscription to Shooting Sportsman and an SSM hat. Congratulations! And thanks to everyone who submitted images!.